Daryl Johnson (Worcester Park, United Kingdom) on 15 October 2015 in Architecture. Next stop on the island tour - Inujima. 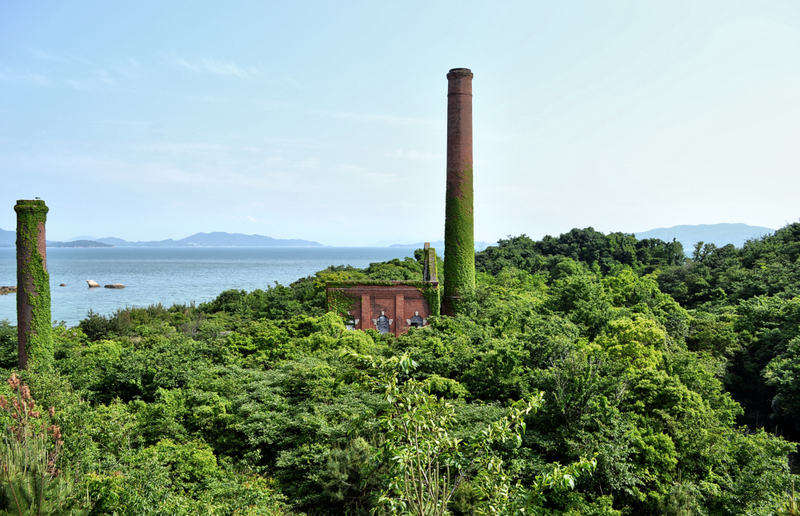 The island houses an abandoned copper smelting facility. This has been converted into an art-site, called "The Inujima Art Project"
It just shows you how powerful Mother Nature is! The green nature dresses again the fireplaces of the former industrial site. A good use for the old smelter that does look pretty good surrounded by greenery.